AMSTERDAM – The nice thing about Europe is that the countries are just close to each other and with the advent of budget airlines, traveling around the continent is as easy as flying from Luzon to Mindanao. 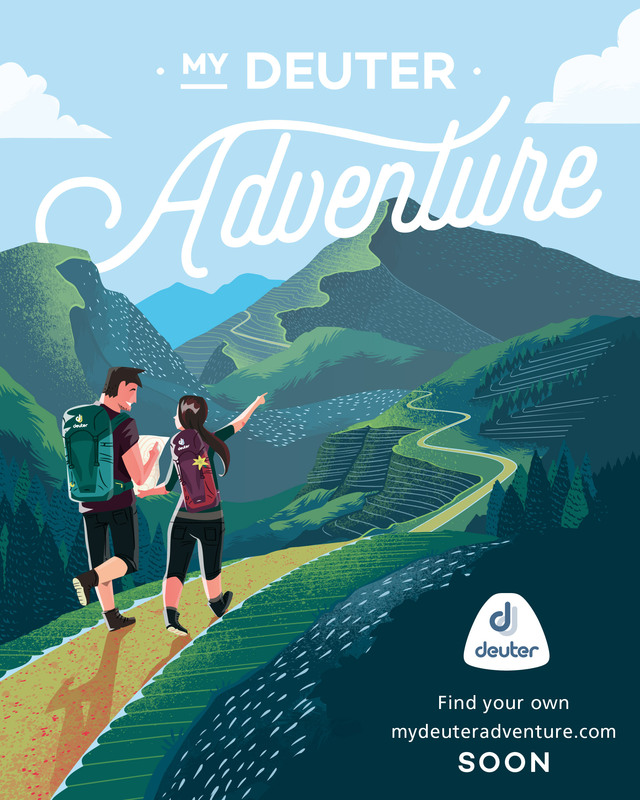 My previous trips to Europe were short and I wasn’t able to take advantage of this geographic configuration, but now that I am here for a while – and while it is not yet winter – I realized that I should make the most of time. So last weekend I went to Rome, visiting the ruins of the Roman Empire as well as Vatican City. From Rome, I took the train to Naples to do some hikes. 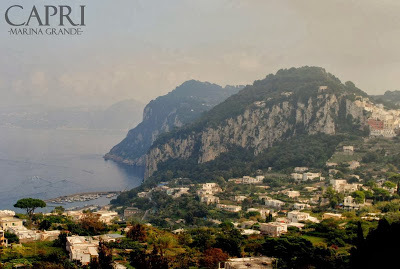 I chose the island of Capri as my first destination as it is very accessible from Naples, easy to cover in one or two days, and of course, beautiful – why else would it be the vacation place of Roman emperors? 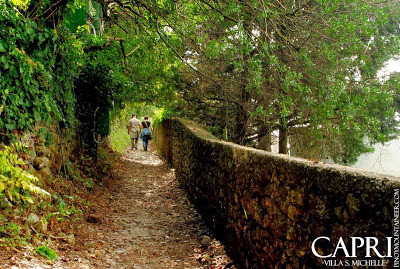 The ferry from Naples to Capri took 50 minutes, and immediately after disembarking, I began my trek around the island. My initial goal was Monte Solaro, at 589 MASL the highest point in the island. 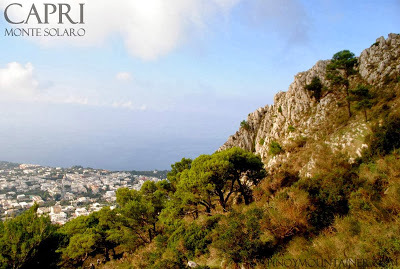 Since Capri is really a tourist destination, you can take a bus to Anacapri then a funicular to reach the very top of it, but I decided on the more enjoyable way – traversing the island while I’m at it. 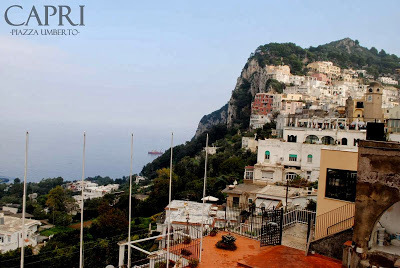 From Capri, I followed the provincial road to Anacapri, finding some nice trails along the way, including the Scala Fenicia to Villa San Michelle. At Villa San Michelle, I munched on a slice of Pizza Napoli (which I bought in Napoli) and had some lemonade which is apparently a local delicacy (they do grow lemons and oranges and I saw some orchards along the way). 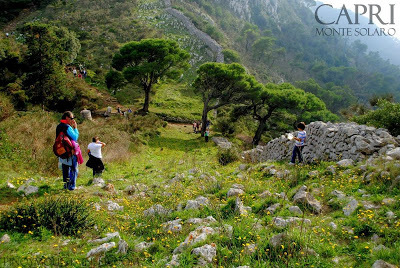 Then I proceeded to Monte Solaro. 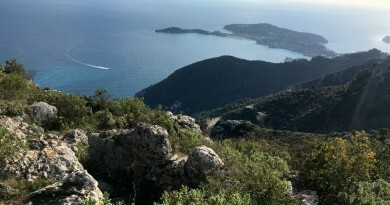 The trail is made for tourists and is very easy, so I took my time to enjoy the views of Anacapri and the Mediterranean sea. 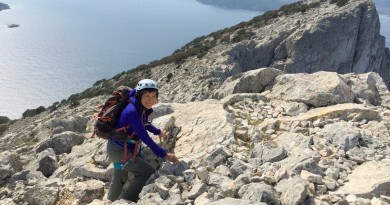 Monte Solaro itself was disappointing as there is even a cafe up there – and the clouds were blocking the fabled views so I instead proceeded to Monte Cappello, with some nice limestone formations and that is where I took my pictures (yes, a camera timer can work wonders). 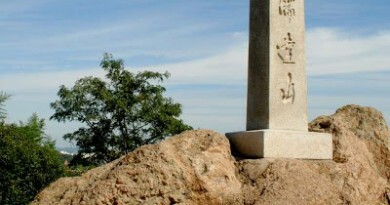 In all, I had a good six hours of walking – which is not bad at all! Back in Capri I had a nice dinner (and Pistachio gelato) to celebrate my day of hiking, and retired early so I can await the sunrise in another part of the island – and that’s for the next post! 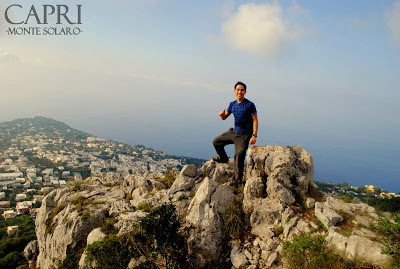 1 Comment on "Hiking matters #373: Hiking in Capri Day 1 – Monte Solaro"
Sir anong camera po ang gamit nyo during your climbs abroad? Salamuch!